Three days after joining United Russia, Dmitry Medvedev told its leaders that they must introduce primaries on all levels in order to keep the party’s leading role in the country. Medvedev was speaking at a meeting with United Russia leadership on preparations for the party’s convention, scheduled for May 26. It is expected that at this gathering Medvedev will be nominated and elected United Russia chairman. However, already at the preparatory stage the Prime Minister told his party comrades that they must introduce more democracy on all levels of their organization. 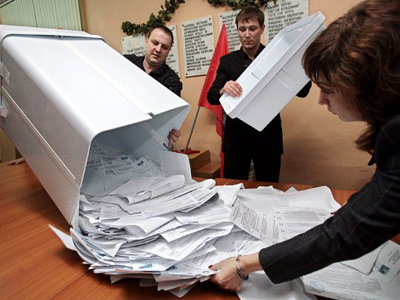 “We need real elections for heads of party cells at all levels through direct and secret voting,” the Russian PM said. 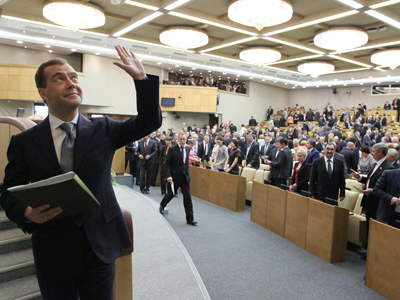 “From now on, if we are winning, we will suggest candidates for the State Duma Chairman’s post on an alternative basis and after open discussion of the candidates’ programs at a party convention,” Medvedev said.“The same applies to representatives of regional legislative assemblies and bodies of executive power in municipalities,” he added. Medvedev went on to say that the heads of United Russia factions in various legislatures should also be elected. “Any deputy must have the opportunity to forward his candidacy for the post of faction leader,” he told party activists. “We need internal democracy in the party. 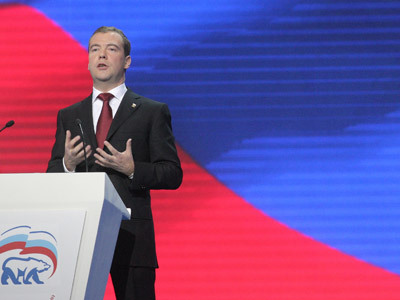 We must change to keep our party’s leading position,” Medvedev concluded. 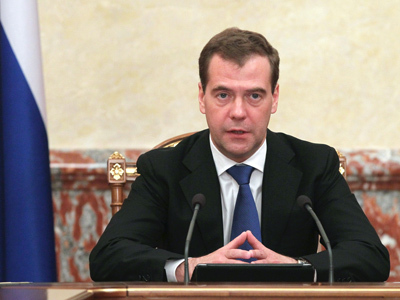 Earlier, Dmitry Medvedev had already spoken in favor of internal reforms in United Russia. When receiving his party membership card on May 22, the premier said that United Russia had the opportunity to keep its leading role in the long term, as there is no other organization in Russia that could take full responsibility for the country. At the same time, Medvedev stressed that the party must become modern, in particular through inviting representatives of grassroots organizations to the Supreme Council – the party’s main ruling body. At the same time, the PM opposed suggestions of a major “rebranding” for United Russia, saying the party must show its best qualities in the same status in which it exists. He also stressed that the current party structure was optimal and did not need changes.